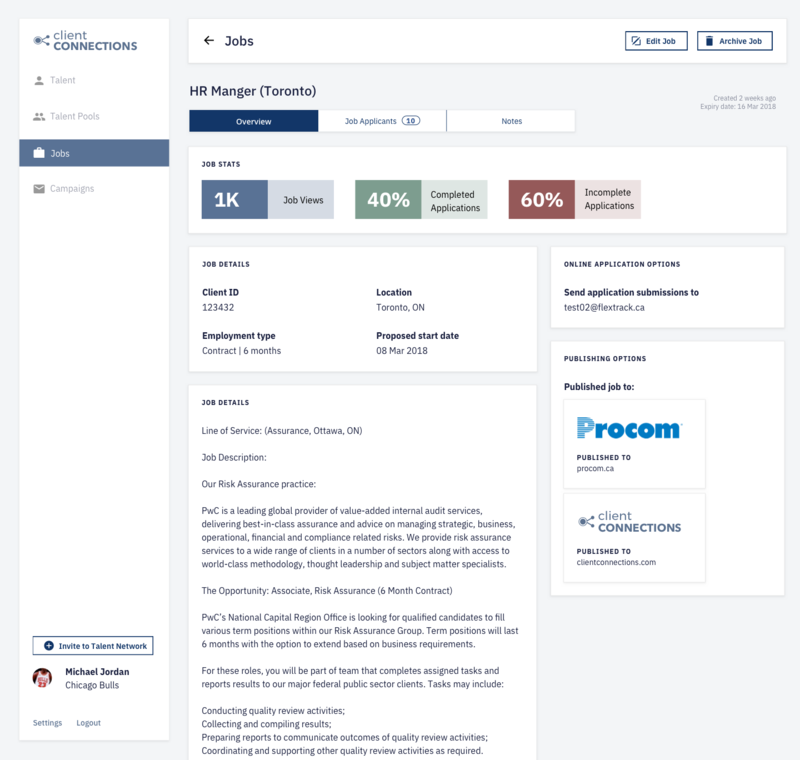 Client Connections is a web application that connects contractors with job opportunities. 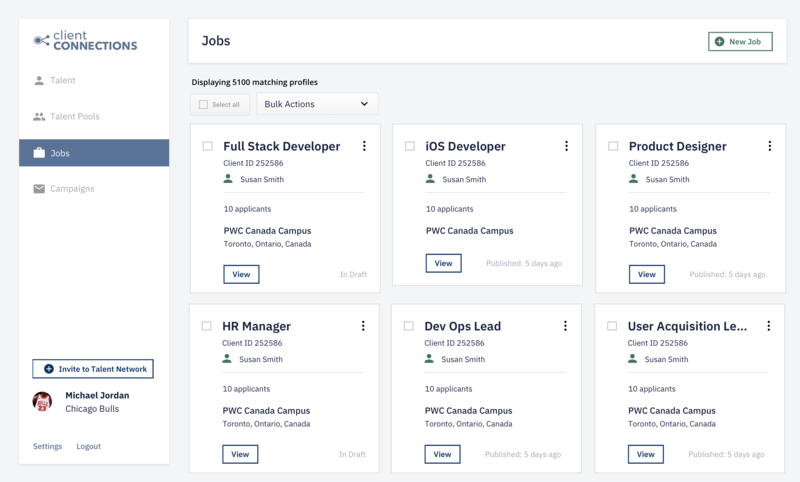 Contractors are able to view jobs, set up job alerts and create a personalized profile. 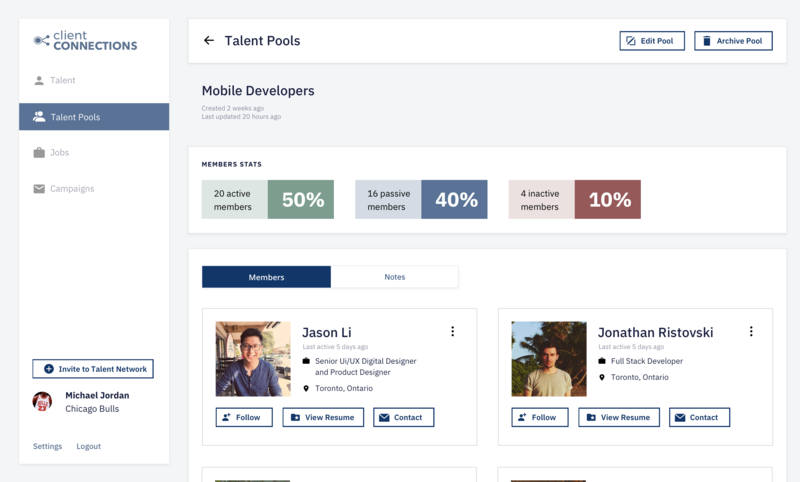 On the other end companies and employers are able to view job applicants in a dashboard that generates a talent network for employers. 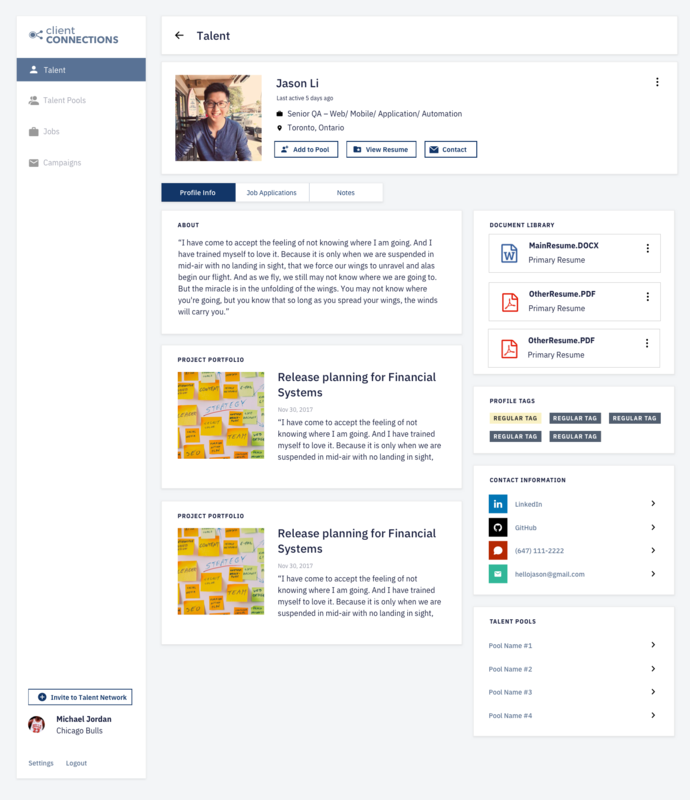 When I initially joined the team there was already a web application that the development team had created. No were no designers on the team prior to me joining and the application styling was based on a 3rd party template. There was quite a lot of design debt for a very simple product. One of the first things I did when I joined the Client Connections team was to create a customized style guide / component library for the application. This was an important first step but also required buy in from stakeholders, developers and the rest of the team. Once the components and styles were defined the next step was to develop a responsive layout system that allowed the application to fluid on multiple screen sizes. I worked closely with the front-end developer on my team to design a re-usable component library system for the Leade.rs web application.